It is quite difficult to see when you have blood in your eyes. Unfortunately, while these glasses do keep the blood directly out of your eyes, you will not see much else other than blood when you wear these Bloody Zombie Glasses. With their classic black frames, these glasses would make a perfect addition to any witty costume, except for the fact that the translucent lenses are stained with streaks of blood. 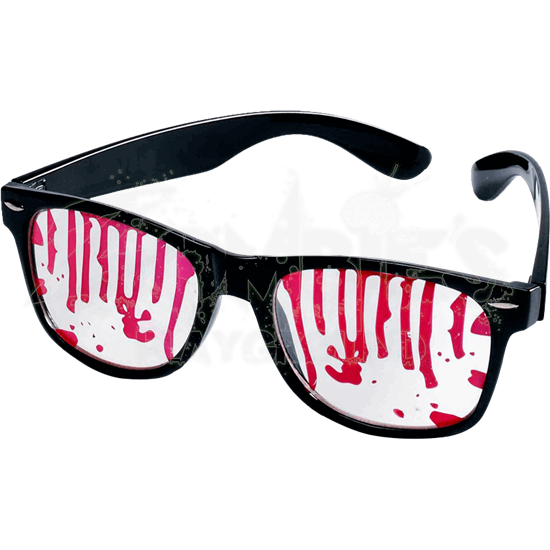 These streaks do not obscure your vision, but they do make for an impressive and incredible effect that makes these Bloody Zombie Glasses a great accessory to wear any time you want to look like a rather impressive and intelligent zombie.